The free HTML5 medical website template Medilife is able to optimize every plausible health treatment packages. 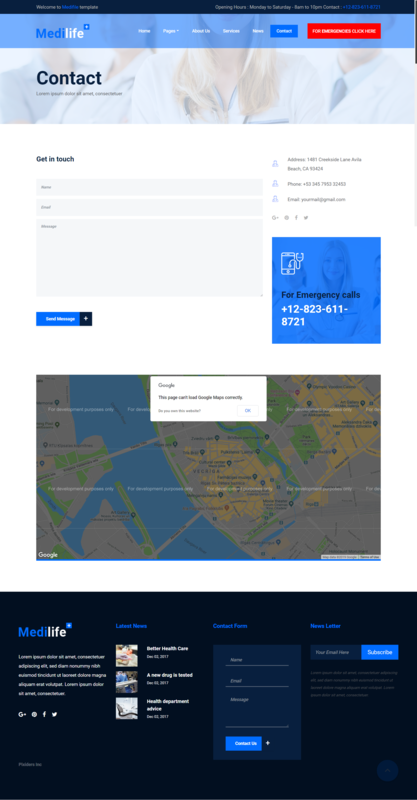 With features like appointment form, contact or subscription form, dropdown menu and a nice footer, along with technologies like Bootstrap 4 Beta 3 this free HTML5 template is outstanding on its gaze. As a free HTML5 medical website template, it has an emergency button to expedite action, it's clearly visible at the top. The template has sophisticated color combinations along with smooth scrolling. It is device responsive and compatible with any kind of browser. Customers will able to enjoy a back to top button for rapid navigation.